Officer Scarangella and his partner stopped a van that fit the description of a van wanted in connection with several burglaries in the area. Before the officers could exit their vehicle, the two occupants of the van exited and opened fire with 9-millimeter semi-automatic handguns, firing a total of 30 shots. Officer Scarangella was struck twice in the head, and his partner was hit 14 times in the legs and back. 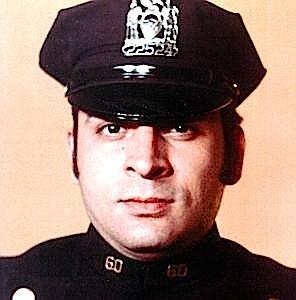 Officer Scarangella was removed to the hospital where he died two weeks later. His partner was forced to retire in 1982 due to his wounds. The two suspects in the murder fled the state. One suspect was apprehended in North Carolina by detectives from the New York City Police Department and the Sumter County Sheriff's Department. The second suspect was apprehended in Pennsylvania by two police officers from the Philadelphia Police Department when they observed him walking down a street in Philadelphia wearing a bullet-resistant vest. When these officers approached the suspect, he dropped a gun and fled on foot. He was apprehended after a fierce struggle in which several officers were injured. At that time, he was found to be in possession of the gun that was used to kill Officer Scarangella and wound his partner. Both suspects were convicted of attempted murder in connection with the shooting of Officer Scarangella's partner, but in two different trials, the juries were hung on the charge of murder in connection with the killing of Officer Scarangella. In July of 1986, both suspects were convicted of murder and sentenced to 25 years to life in prison. One died in prison on August 30, 2008, and the other died in prison on April 3, 2016. 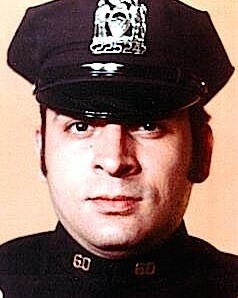 Although never charged, one of the suspects in Officer Scarangella's murder was a prime suspect in the murders of Police Officer Edward O'Grady, and Police Officer Waverly Brown, of the Nyack Police Department, on October 20, 1981, during a robbery of an armored car. When he was arrested, he was in possession of a gun linked to those murders. Both suspects were one-time members of the Black Liberation Army. Officer Scarangella had been a member of the New York City Police Department for 12 years and is survived by his wife, four children, and three siblings. He was assigned to the 113th Precinct. Another year in Heaven my brother. May you continue to rest and watch over your loving family and the NYPD. Thank you again for your service and sacrifice for all of us. May all those involved in your loss suffer for ever in hell.